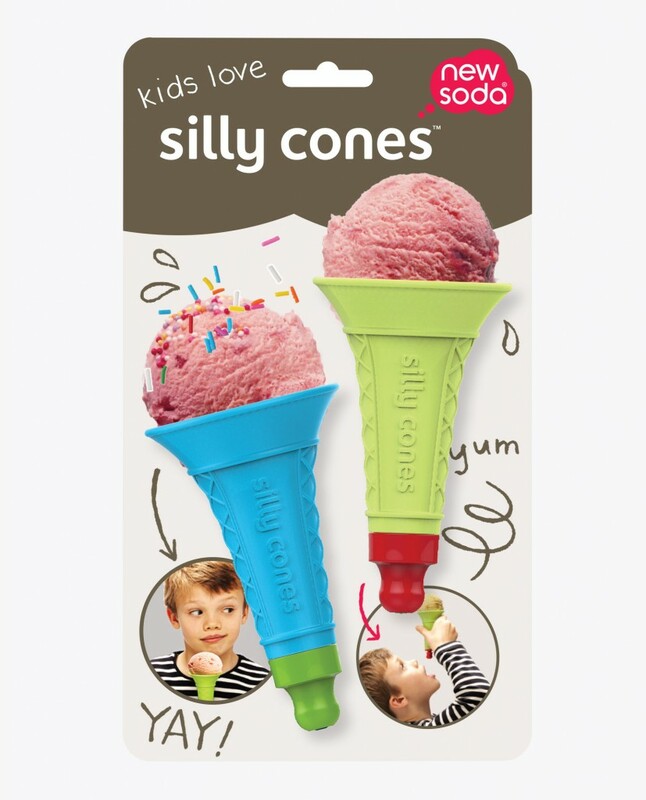 silly cones™ are unique reuseable ice cream cones inspired by childhood memories of eating classic wafer cone ice creams. 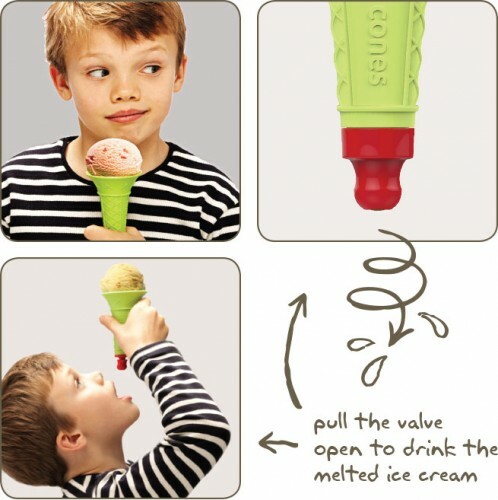 They take a generous single serving of ice cream and after eating all the ice cream in the top, you can drink the melted ice cream from the bottom using the pull-push bottle valve. …and drink from the valve at the bottom. Food safe and BPA free.